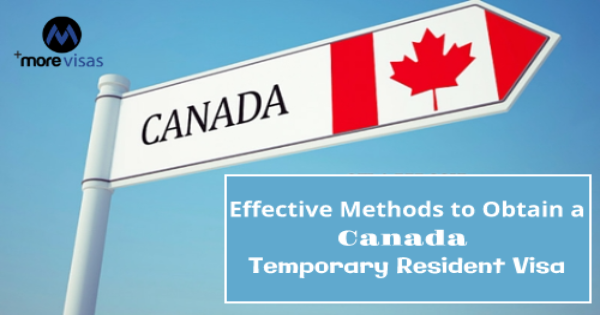 Citizens of some countries have to obtain a Canada Temporary Resident Visa/Visitor Visa when they enter the country as temporary visitors, workers or students. A Temporary Resident Visa serves as an official document which issued by the Immigration, Refugees and Citizenship Canada, of the Canadian government. It is not a permit to work or study in a visit to Canada. A few temporary residents are able to take programs of study for six months, based on conditions. When a person is a resident of a country requiring a TRV and is planning a visit he/she has to determine regarding being a visitor and whether the stay makes it necessary to get a TRV. Talking to an expert in these matters is the first step. The TRV has to be obtained prior to leaving the country of origin. One is not permitted to enter Canada without a TRV, and it is not issued at the port-of-entry also. The ideal time to start a TRV application is when the applicant learns about the travel to Canada. There is no guarantee regarding the time of processing a TRV application. It can be applied online and requires a scanner/camera for converting documents into electronic files. Moreover, a credit card is also needed for paying the application fees. A few applicants must submit the application through Visa Application Centre in their native country. Citizens of some nations must give their “biometrics” also as part of applying. This biometrics is received at a VAC, but the fee for collecting this biometrics can be paid online. We help to provide answers regarding getting a Temporary Resident Visa. We provide timely, effective, strategic and comprehensive legal immigration advice for the applicants who are looking to move to Canada for working or, for studies. We provide expertise in all domains in immigration matters. We also provide advice on the constantly changing immigration laws of Canada.